Scientology leader David Miscavige (l.) is being accused of gossiping about Lisa Marie Presley and Michael Jackson after snooping in her confidential confessional file. 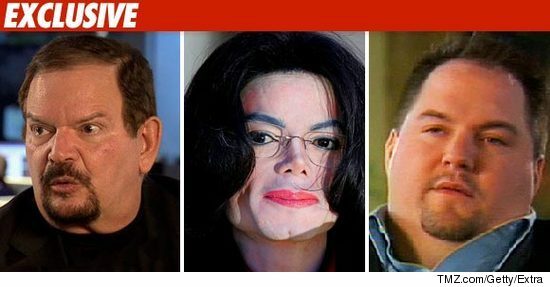 Lopez was Michael Jackson‘s music attorney for several years, according to Alfred Newman, a spokesman for the firm Lopez helped found, Kleinberg Lopez Lange Cuddy & Klein. He also represented The Eagles, Andrea Bocelli and Michael Buble. Peter Lopez said he expected the toxicology report to be released in the near future. The report has been completed but will not be made public while a police investigation is still ongoing. Mr Lopez told Sky News: “We should hear within the next week. I believe the LAPD are doing a very thorough investigation. Mr Lopez also feels his former client’s death could possibly have been avoided. “I think it’s too early to say, we don’t have all the facts but he should not be dead, that’s pretty clear. The lawyer paid tribute to the detectives conducting the investigation into the King of Pop’s death, saying he realised they were in a very difficult situation and they were doing “terrific work” to make sure “the right results come out”. DEA agents searched a pharmacy in Las Vegas earlier this week to find prescription documents for Jackson from his former doctor Conrad Murray. They have also searched the doctor’s premises, and while he is not an official suspect, Dr Murray is the subject of a manslaughter investigation. Mr Lopez also feels the media frenzy surrounding the singer’s death, as well as continuing questions over the paternity of his children, is irresponsible. “I think it’s very unfortunate these sorts of things get talked about,” the lawyer said. “The children are probably going to hear about these kind of scandalous things. They are bright, young, wonderful kids. Cascio, 28, is the son of Dominick and Connie Cascio, who were friends with Jackson since the 1990s. The family has frequently visited Katherine Jackson‘s home since the King of Pop’s death. The Cascio family even contributed a message to the booklet handed out at Jackson’s memorial service in July of last year. The news comes on the heels of Jackson’s “Thriller” video being voted as the most influential in pop music history in a MySpace poll. Klein and office manager Jason Pfeiffer were featured on “Extra” a few days ago — during the interview Pfeiffer claimed to have had a romantic relationship with MJ. Posted on May 5, 2010 by michipato	• This entry was posted in Michael Jackson and tagged Varios. Bookmark the permalink. recuerden que de el rey se hbla mucho, pero muy lejos de la verdad. El ahora esta muerto, lo justo es ya no manchar la memoria de quien solo dio A M O R.
porfavor; Lo importante es su musica, su baile y sobre todo las cosas de ayuda que realisaba, de eso muy poco se habla. Por supuesto que dejó un gran legado, pero aunque parezca una insencible tengo las esperanzas de que la verdad salga a la luz pronto, siempre lo tendremos en nuestro corazón.